I'm not one to stick with one skin care routine, however, I do believe in stick with products and brands you love. I have always been a fan of Dermalogica. Now that I just turned 31... yep 31 I'm all about giving my skin the extra attention it needs. 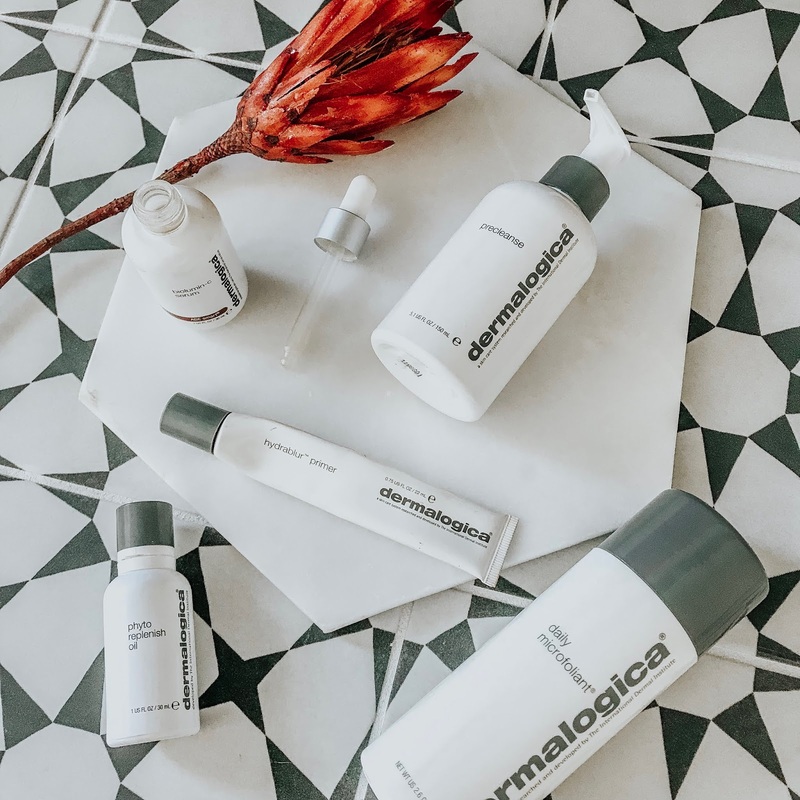 Dermalogica is all about getting results and that I'm into. If you missed my morning routine instastory, you can rematch in in my SKIN. highlights on my instagram. Above are my current go to's. I obviously mix in other brands with this routine. Like I said before, I'm not one to stick with a routine, but with products and brands I love. If you were to pick one thing out of the 5 products above I would recommend the primer. It is by far the best primer I have ever used. If priming isn't something you're currently doing- you need to start. One night I was up all night watching make up tutorial videos, and lets just say priming is a big MUST. I also found out my watching all the you tubes that I have been applying makeup so wrong, but thats a whole other blog post in itself.